Do you want to add life or create a special atmosphere in your home or working environment? Then beautify your home or office interior with Superchrome’s stunning art canvas prints. Based in the UK, we are a highly reputable firm providing a variety of printing and displaying solutions, including art canvas printing services, to clients worldwide. Our art canvas prints are considered one of the most popular interior decoration products today. At Superchrome, we offer art canvas printing services to turn your favorite photographs and paintings into high quality art canvas prints. These services are very cost effective and are designed to meet the interior decoration needs of homes, offices, museums, galleries and art shops. They are also great for promotional events, trade show displays and other retail environments. Utilizing our highly advanced software applications and high definition printers, we can produce art canvas prints on different grades of canvas in many sizes such as A4, A3, A2, A1, A0 and 2A0. We utilize HP 5500, Encad 850 wide format printers and other latest generation printing and scanning equipment for providing the highest quality detail, color vibrancy and clarity for all our art canvas print projects. We have an experienced and creative team of art canvas printing staff who can expertly transform any photo into a stunning piece of artwork. Superchrome art canvas prints are available in either artist grade heavy canvas or light canvas in matte, gloss or semi-gloss finish. 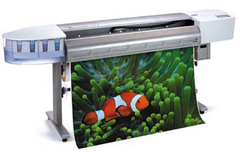 As we use six-color UV true pigment ink system, all our art canvas prints ensure longevity and durability. We can deliver the finished art canvas prints as framed, unframed or stretched. We can also provide lamination services on request, for added protection and fade resistance. In addition, we also utilize giclee canvas art printing techniques to produce photos into elegant canvas art prints. Superchrome art canvas prints definitely improve the vividness of your favorite photos and paintings and arrest the attention of viewers. If you are interested to know more about our canvas art prints, please feel free to contact us via e-mail or telephone. If you would like to know more about art canvas prints, any of the projects shown or if you want to discuss any project you have coming up then contact us 020 7237 9333 or fax 020 7237 9444 or email sales@superchrome.co.uk. Our experienced personnel would be able to guide you appropriately.